Only 2 LTZ models left in stock! Heated Leather Seats, GOOSENECK / 5TH WHEEL PREP PACKAGE -- HITCH PLATFORM TO ACCEPT GOOSENECK OR FIFTH WHEEL HITCH. 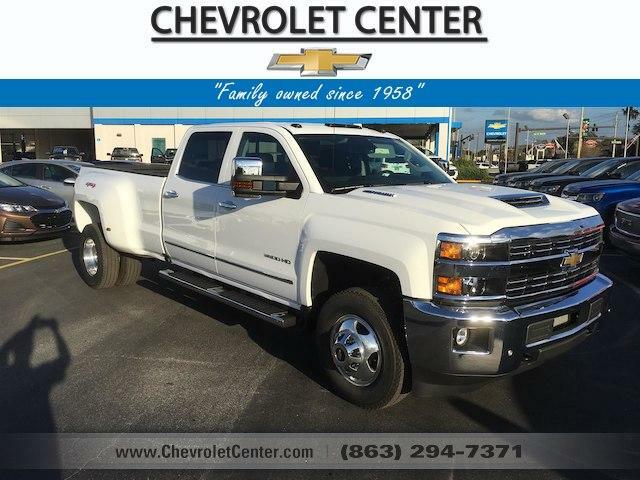 Tow Hitch, ENGINE, DURAMAX 6.6L TURBO-DIESEL V8, B20-DIESEL COMPATIBLE, Back-Up Camera, Satellite Radio, 4x4, Bed Liner. Includes (JF4) power adjustable pedals, (UQA) Bose premium audio system, (UVD) heated steering wheel and (UD5) Front and Rear Park Assist. Includes 17" steel spare wheel. Spare not included with (ZW9) pickup box delete unless a spare tire is ordered.